Geoboard 9" with rubber bands. Use geoboards to explore shapes, designs, spacial relationships, angles, fractions, area, perimeter, symmetry, and coordinates. This 11 x 11 pin geoboard has a coordinate grid on one side and an isometric array on the other side. 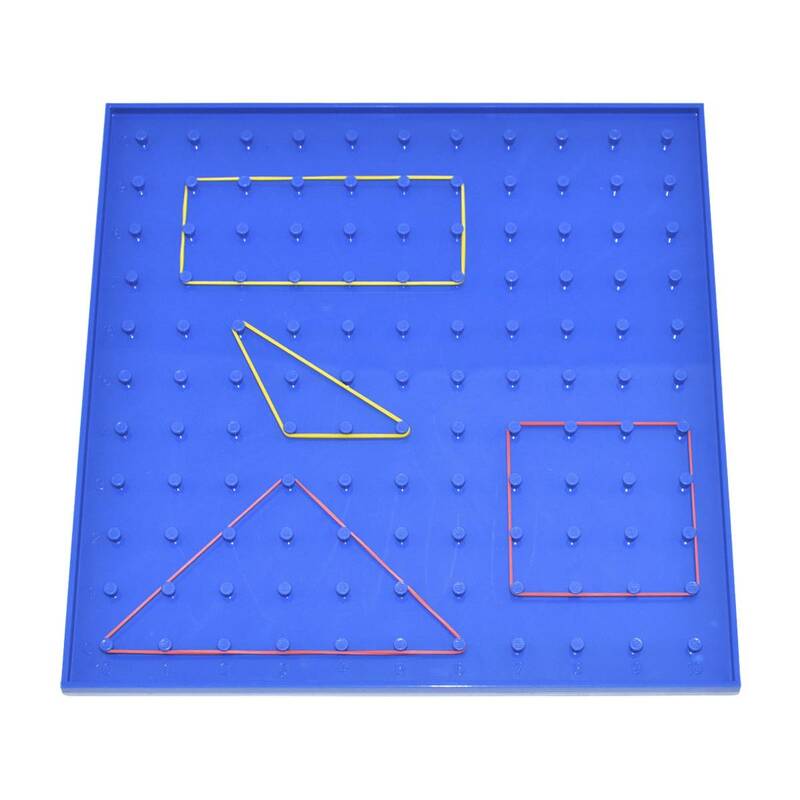 Use to explore plotting, map skills, area, perimeter and symmetry. Please note geoboard colors may vary. Write A Review For Geoboard 11 x 11 pin array, 9"